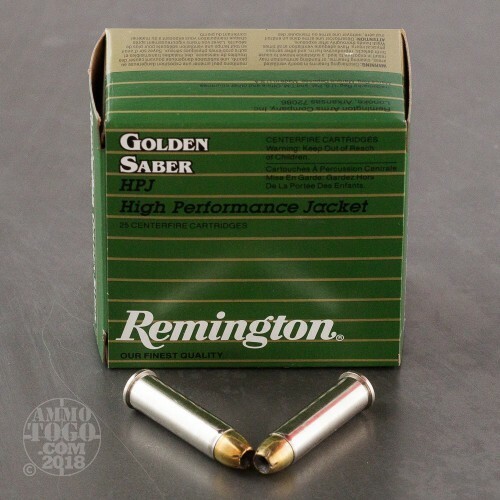 Remington Golden Saber ammunition has a solid track record in the self-defense role thanks to its effective design and high quality. 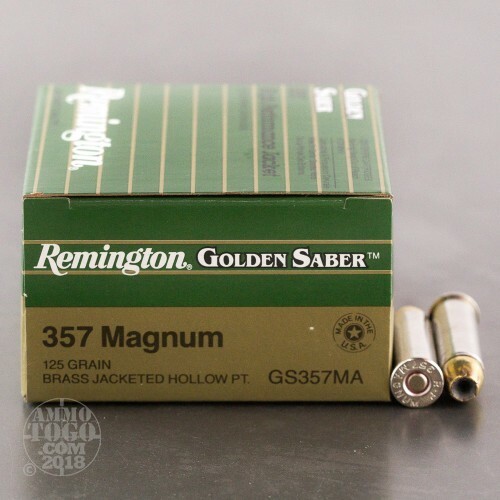 These .357 Magnum cartridges fire a light 125 grain brass jacketed hollow point bullet that delivers strong levels of expansion and penetration without producing an extraordinary amount of recoil. 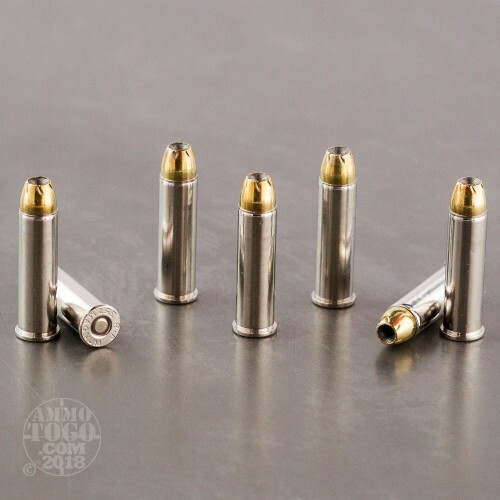 If you rely on a revolver for concealed carry or home protection, you can count on this load. 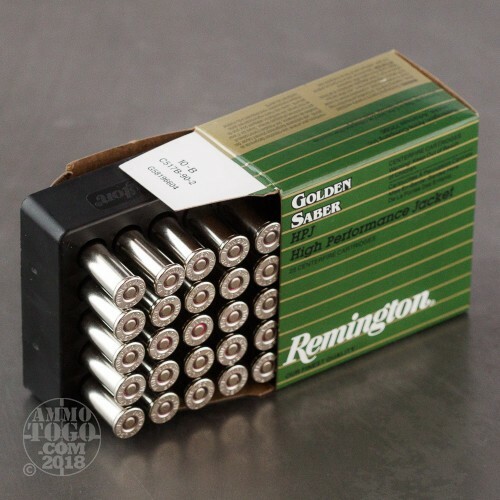 Remington ammo is loaded in the USA and uses non-corrosive primers and reloadable brass cases with durable nickel plating.